Super Duper Gamer Team Entertainment: King Of Fighters is back, brought to you by... ATLUS?! 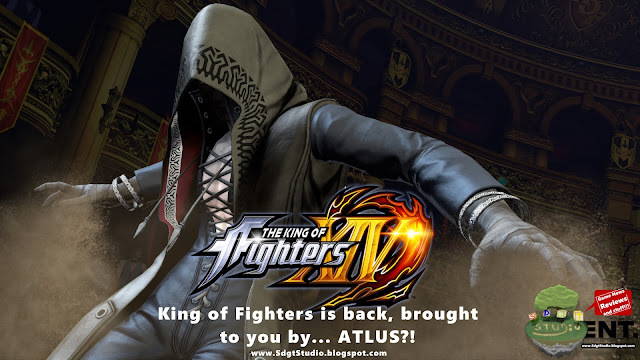 King Of Fighters is back, brought to you by... ATLUS?! SNK PLAYMORE X ATLUS action! 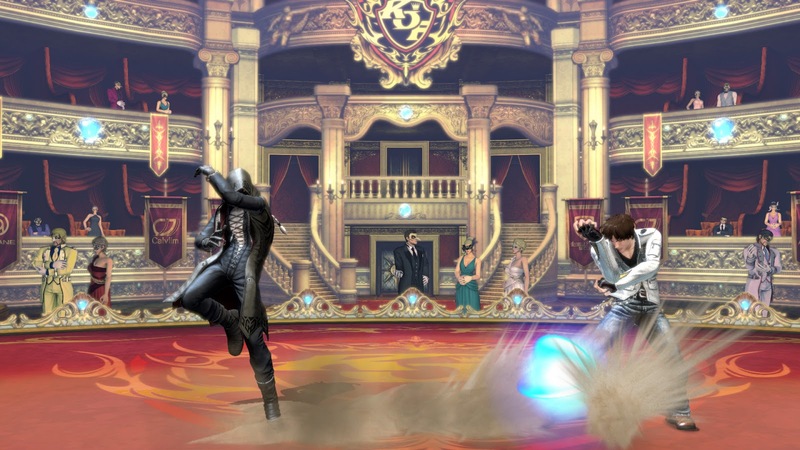 The King of Fighters XIV? Hmmm... there are plenty of fighters, and while this has served as one of the longer running competitors to the Street Fighter franchise... things went a bit cold (along with the interest in fighting games... beyond tournaments, as FPS games rose up the ranks). Don't get me wrong though... the 2D hand drawn animations in KOF were extremely beautiful, but at the same time it felt like the boss fights fell... flat in KOFXIII (for me). I say all that to say... even if this game looks absolutely awesome, they have to make sure that the experience is on point. SNK Playmore is teaming up with the awesomeness that is ATLUS in this one... and how I hope they knock it out of the park. I do not want the type of dialog set up seen in KOFXIII... pretty please w/ a slice of extra cheese pepperoni pizza on top! Reading was not the problem in those pre-fight conversations... but it just wasn't good and it was drawn out (to me). In addition to that... there was so much that could've happened in that game with the content, but I won't go into all that because i'd like to highlight the good things too in a review, versus just a rag-fest. I do want this to be awesome though and cut scenes would be appreciated over the back and forth dialog between characters... that I eventually began to skip past. According to ATLUS... the SNK PLAYMORE team will maintain the 3 vs 3 battle system... but there are notable updates to the fighting engine with streamlined controls to improve on things like the combos & max mode mechanics. I am curious what the story will be like, as well as the overall experience regarding the fights, but one thing I appreciate immediately is the 50 available fighters being available at launch... and we received no mentions of DLC. The new party battle feature also seems like it could be pretty cool, and sounds as if it will be in the standard set up of people fighting it out with 3 vs 3, but... every character will be controlled by a different person. That would make for a pre-tty coooolllll tournament... because I've never seen one with that type of set up. Have you? Anyway, check out some of the images below and game on! Oh... before I go, do you think that we will see a new Capcom vs SNK game? I think 2018 would be a great year for one (giving enough space for breathing room). Please +1, Share, Subscribe and... Game on!